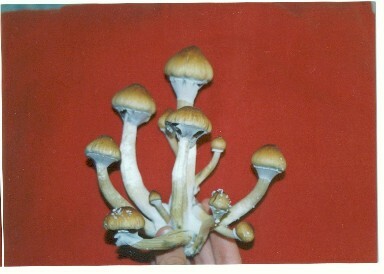 This is a bunch of shrooms from a PF cake, a result of my first successful cultivation. Edited by markus on 09/12/01 04:17 PM. Congratulations, they look very nice. Edited by phrozendata on 09/12/01 04:25 PM. First shrooms are fun. I remember dancing around for a half hour when i picked em, i think when i saw the pins too hehe. what kind of shrooms they be is? 804 topic views. 30 members, 104 guests and 17 web crawlers are browsing this forum.